Wanting to share the best of the Pacific Northwest with a dear friend, I decided we’d tour Mount Rainier and Mount St. Helen’s. This was Laurie’s first visit, and airfares from the east coast being what they are, I was pretty sure she’d not be returning anytime soon. I’ve no idea why I’d never thought to travel out that way before, except to say that neither my husband nor I are overly keen about venturing forth into the great outdoors. Simply put, we like to leave it to the critters that call it home. One day, while out walking in Banff, Canada, I almost came face to face with a giant black bear. From then on, I decided to enjoy the outdoors…from the safety of the indoors. Since I was born in Hawaii where volcanoes loom large around every bend in the road, it could also be that I had no inclination to see two more. The drive towards Mount Rainier felt desolate. The two-way road was pretty isolated, except for the occasional car driving in the opposite direction. Acres and acres of evergreens lent an eeriness to the quiet hanging heavy all around us. If it weren’t for the intermittent chatter between Laurie and me, we might have been three souls traveling alone toward a destination as yet unrevealed to us. A little spooky, I thought. Thankfully the sun shone bright as we made our way along, what was for us, uncharted territory. More than once I proclaimed “How majestic!” as the Cascades Mountain Range unfolded before our eyes. If there ever was a place God designated as his, this was it. While we didn’t see the summit of Mount Rainier because it was hidden by a heavy blanket of clouds, we hiked a winding trail up a nearby mountain in the hopes we’d catch even a glimpse. Breathing heavily because of the elevation, we climbed uphill gingerly so as not to lose our footing and tumble backwards over bumpy terrain. Stretching out all around us were fields and fields of wildflowers. Seeing them made our questionable decision to continue the ascent worthwhile. The following day we drove in the direction of Mount St. Helen’s. Fifty-seven people were killed during the eruption. Had the eruption occurred one day later, when loggers would have been at work, rather than on a Sunday, the death toll would almost certainly have been much higher. 83-year-old Harry R. Truman, who had lived near the mountain for 54 years, became famous when he decided not to evacuate before the impending eruption, despite repeated pleas by local authorities. His body was never found after the eruption. Another victim of the eruption was 30-year-old volcanologist David A. Johnston, who was stationed on the nearby Coldwater Ridge. Moments before his position was hit by the pyroclastic flow, Johnston radioed his famous last words: “Vancouver! Vancouver! This is it!” Johnston’s body was never found. A young geologist lectured small groups of visitors on the science behind volcanic eruptions, and more specifically the one that occurred at that site. Of particular interest to me was her explanation that Hawaiian volcanoes aren’t destructive to human life unless, of course, a person is in the path of its lava flow. The difference, she said, was that the nearby ocean salt causes Hawaiian volcanoes to be fluid, not explosive. My relatives living on the islands should be able to rest easy. You think? Another volcanic dome is growing within the crater of Mount St. Helen’s. Earthquakes continue to occur regularly. When I asked the geologist about the next eruption occurring while folks were in the area, she seemed to take the question in stride. She said the experts would call in time to alert everyone to leave. I think I’ll start reading the earthquake reports myself. I’m no Olympic runner. …not by a long shot. Madame Pele is said to make Kilauea Iki her home. So when you walk this terrain, know that you are trespassing upon sacred land. All may seem quiet, but just beneath the surface she rumbles and groans her displeasure at being contained. Hawaiians know better than to disregard Pele’s ferocity. Her anger can quickly explode into fiery bursts of magma which kills all in its path. If you let it, the stillness will lull you into daydreaming. The goddess of fire surrounds you. You trespass at your own risk. The Hawaii envisioned by most who dream of one day visiting the islands is most often one of basking …on sandy, white beaches…under sunny, blue skies…in warm, ocean waters. What is rarely ever experienced is the barren, solitary flip-side of islands that have evolved over time…from molten lava…to hard rock. Beauty resides here as well, though not of the typical kind. 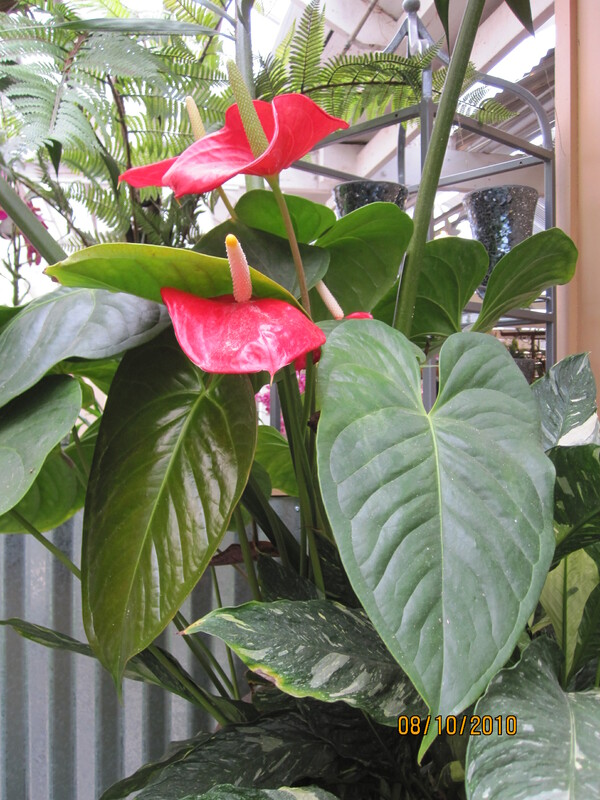 No fragrant plumerias…or showy hibiscus…or striking bird-of-paradise. Rather…broken asphalt…barren trees…craggy rocks…lichen…edible cacti…native flora…the lone bird…distant vistas…and the solitary…Makapuu Lighthouse… the piece-de-resistance. …beauty is in the eye of the beholder…it comes…in all forms. As I grow older and more reflective, people come to mind who inspire me. Such a person is my sister-in-law, Pat. Her husband, my brother, follows my blog. He’s probably bug-eyed right now wondering why I would shine the spotlight on his quiet, unassuming wife of many, many, many years. How many anniversaries has it been, Ben? Pat was born in a small town in Maui, at least it was back in the 50s and 60s. Makawao was considered “up-country,” although not as far up as Kula, home of Haleakala, the dormant volcano. We had to drive through Makawao to visit aunts, uncles and cousins in Kula. Because we rarely stopped in Makawao, I’ve very little childhood memory about that hamlet. My only recollection is that during high school, I would cheer for our teams, the St. Anthony Trojans, when they played against the Maui High School teams, from Makawao. I don’t even remember what they were called!?! Modern day Makawao is now a tourist mecca, which I probably wouldn’t recognize if I were ever to stop, enroute to Kula. So my fondest memory of Makawao is Pat. From the first time I met her when I was probably a pre-teen, until I saw her a couple of years ago, she has always been welcoming, warm, and unpretentious. A broad smile is always at the ready, or a concerned look that deepens her brow is just as quick to comfort. I’ve had the benefit of both, during the few years when we saw more of one another. Once I spent 3 weeks or so visiting with Pat and Ben. My husband was out of the country on business. While my brother worked, I found it easy to be in my sister-in-law’s company. Never a person to fuss over people or things, we would just putter all day, eat, chat, fix beds, chat, watch TV, chat, gossip, chat, and intermittently check to make certain their pet beagles hadn’t burrowed their way under the chain link fence, to wander off down the road. On rare occasions we went shopping, mostly to the supermarket. Pat was one of the most frugal persons I ever knew, still is probably. My brother probably spent more, in fact I know he did, on his penchant for hobby airplanes. At one time, he had a garage full of unopened boxes. Did I mention that my sister-in-law is a saint? A requirement for sainthood, at least in the Pacific Islands, must be some Portuguese, as well as some native-Hawaiian, blood. Both my husband and Pat fit the bill, and I believe they’re both saints. If my sister-in-law was ever upset, I never witnessed a blow-up, ever. There were times she was quiet, but that was the extent to any alteration in her usually upbeat demeanor. I think she lectured, like most moms do. But again, her voice never seemed to change in pitch or volume. Pat was, and still is, a good fit for my brother. She anchors his “flights of fancy,” cools his blood pressure, speaks in normal, everyday language as he expounds on world politics in the manner of a scholastic. I’ve borne witness to it all, and have had more than my share of belly laughs in the process. They remind me of my husband and I. He does for me, what Pat does for Ben. Opposites do attract,… I guess? In reflecting back upon time spent with Pat, I use to wonder how remaining within the confines of her home, day in and day out, as a housewife, didn’t drive her crazy. She seemed defined by her family. What could she lay claim to, as her very own? How could she be happy in her own company, surrounded by inanimate home furnishings, and a few pets, 24/7? Didn’t she have dreams, unfulfilled? Didn’t she want more from life, than others’ leftovers? Who was she, if not wife, mother, housekeeper, caretaker? I now know the secret to Pat’s life back then, because as an empty-nester whose spouse is still very much entrenched in his career, I’m a housewife, working within the confines of my home most days, surrounded by a houseful of stuff, 3 cats and a dog. But I love my life, and I wouldn’t trade it for fame, fortune or fabulous fun! What I missed most in childhood was the lack of a loving family, no home to call our own, no financial stability, and feeling like my life wasn’t my own. With age and an inventory of life experiences I’ve learned to count the small blessings, the intangible ones that will make a difference to me when I finally cease to be. The world “within” is of more value than the world “without.” What we think and feel seems more important than what we acquire, or how much we acquire. An inner calm can help a young housewife, or an empty-nester, like the life she lives. But it doesn’t mean she’s not open to change. Pat now happily works outside the home in a major department store, a not-too-thrilled husband having taken over household duties since he’s retired. I think she’s enjoying the ups and downs of a career, lady friends with whom to commiserate, and the opportunity to dress in business attire. Though her circumstances have changed, my sister-in-law remains the same person with whom I can joke and laugh, and just be me. She’s always liked me exactly as I am. In fact, she’s always been one of my most ardent supporters, even when I was a young goof-ball. In that respect, she and my brother are exactly alike. 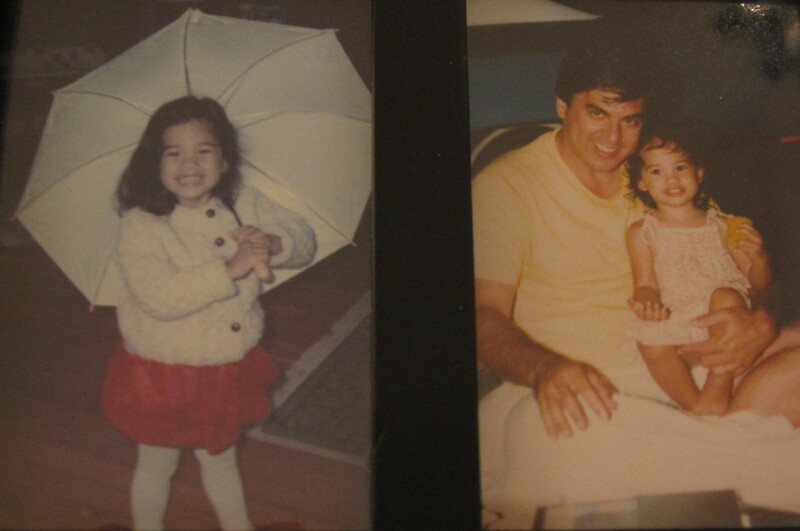 They’ve always loved me, no matter how zany or off-the-wall my antics. and i love them…just as they are …hugmamma. Hugmama's Mind, Body, and Soul by Creative Commons Attribution-NoDerivs 3.0 Unported License. Based on a work at http://hugmamma.com.